TWRU staff helped the Salvation Army at their staging facility after the flood affected the area. TWRU is committed to helping the community. The staff also came together and all played a part in preparing almost 45 hot meals for people who we knew were affected by the flood. 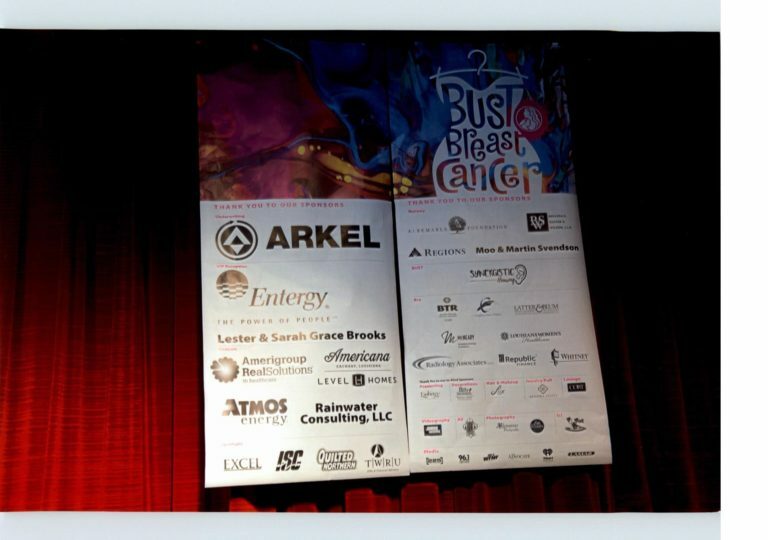 Two of our Partners, Sara Downing and Linda Gibson, enjoying themselves at the BUST Breast Cancer event, of which TWRU was a Spotlight Sponsor. TWRU employees raised $270 for the Boys & Girls Club and their efforts were matched by the Partners. 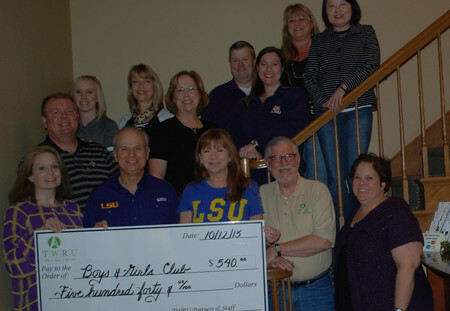 A total of $540 was given to the Boys & Girls Club of Greater Baton Rouge by the Partners and Staff of TWRU CPAs & Financial Advisors. The money raised allowed for the staff to wear jeans on Fridays during the football season while showing their support for their favorite team. The staff of TWRU CPAs & Financial Advisors were able to purchase a TWRU breast cancer awareness shirt to wear proudly on Mondays in October with jeans. 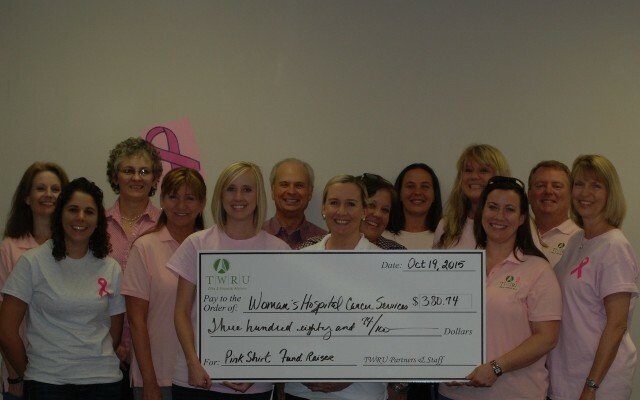 All proceeds from the shirts purchased by TWRU employees were donated to Woman’s Hospital Cancer Services with a total donation of $380.74. TWRU CPAs and Financial Advisors and their employees recently collected over 350 pounds of food for The Greater Baton Rouge Food Bank. In addition to the collection of food the firm also donated $750. These collections have provided over 4,000 meals to members of the Greater Baton Rouge community. The challenge to collect food and cash donations was put forth by the partners of the firm with the pledge to match all employee donations. This year TWRU surpassed it’s previous high collections and donations of 200 pounds of food collected and $680 reached in 2013. TWRU CPAs and Financial Advisors recently participated in a food drive for the benefit of the Greater Baton Rouge through the Greater Baton Rouge Food Bank. TWRU has a rich history of giving back to the community. The Greater Baton Rouge Food Bank’s mission is to feed the hungry in Baton Rouge and the surrounding parishes by providing food and educational outreach through faith-based and other community partners. TWRU’s generosity yielded almost 200 pounds of food. That is equivalent to over 160 meals to deserving families. In addition to food, TWRU Staff and Partners also made a contribution of $680.00. According to the Greater Baton Rouge Food Bank this correlates to providing over 3,500 meals to the Baton Rouge Area. TWRU is honored and proud to be associated with the Greater Baton Rouge Food Bank. Are you ready to get on track And meet your financial goals?